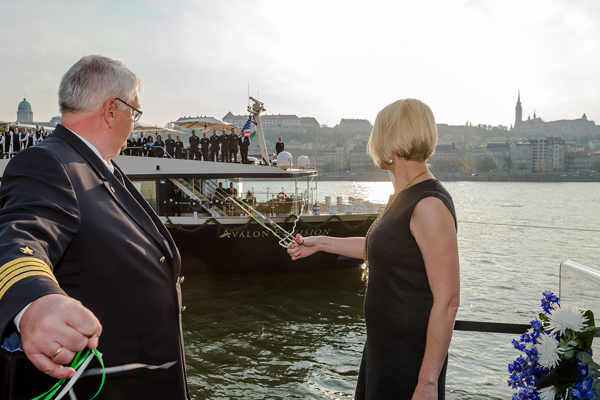 Avalon Waterways christened its 13th Suite Ship in Europe in Budapest, Hungary this week. Acting as the ship’s godmother, Elizabeth Gilbert — author of the award-winning, New York Times-bestselling EAT PRAY LOVE – led the christening ceremony. After reciting her blessing, Gilbert cut a rope tethered to a bottle of Torley — Hungary’s most famous sparkling wine – causing the bottle to smash against the newly named ship’s bow. 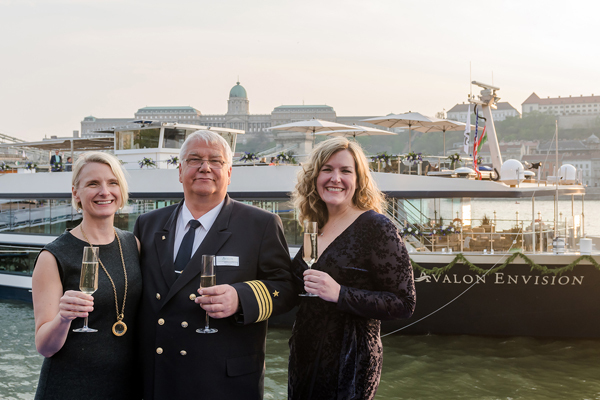 Managing Director of Avalon Waterways Pam Hoffee, Captain Ralf Remus and the ship’s crew of 47 as well as a hundred invited guests which included travel agents, local dignitaries and tourism boards, cheered the ship’s christening in front of a crowd of local onlookers. The new 443-foot, 166-passenger Avalon Envision is now cruising the Danube River on such popular cruise vacations as 10-day Danube Dreams, 10-day The Legendary Danube and 12-day The Blue Danube Discovery. Sail on over to www.avalonwaterways.ca for more.